The Zondervan Biblical and Theological Lectures series provides a unique audio learning experience. Unlike a traditional audiobook's direct narration of a book's text, Organic Outreach: Audio Lectures includes high quality live-recordings of college-level lectures that cover the important points from each subject as well as relevant material from other sources. Organic Outreach: Audio Lectures will help you shape a personal approach to passing on the good news of Jesus in natural ways. This is not a system or a program. It's a collection of biblical practices that you can incorporate into your life starting today. You can begin right where God has placed you. You can share the love and message of Jesus in a way that fits exactly how God has wired you. 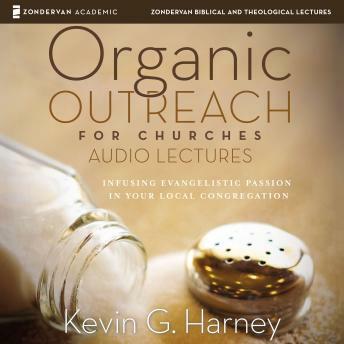 In this practical study, pastor and author Kevin Harney offers the tools needed to reach out with God's love in organic ways.